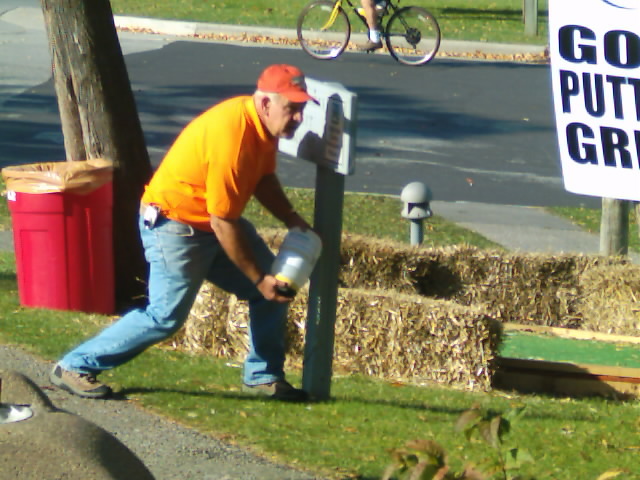 Door County Veterans and The Egg Harbor Business Association Launch Operation Bucket Brigade During Pumpkin Patch 2006! 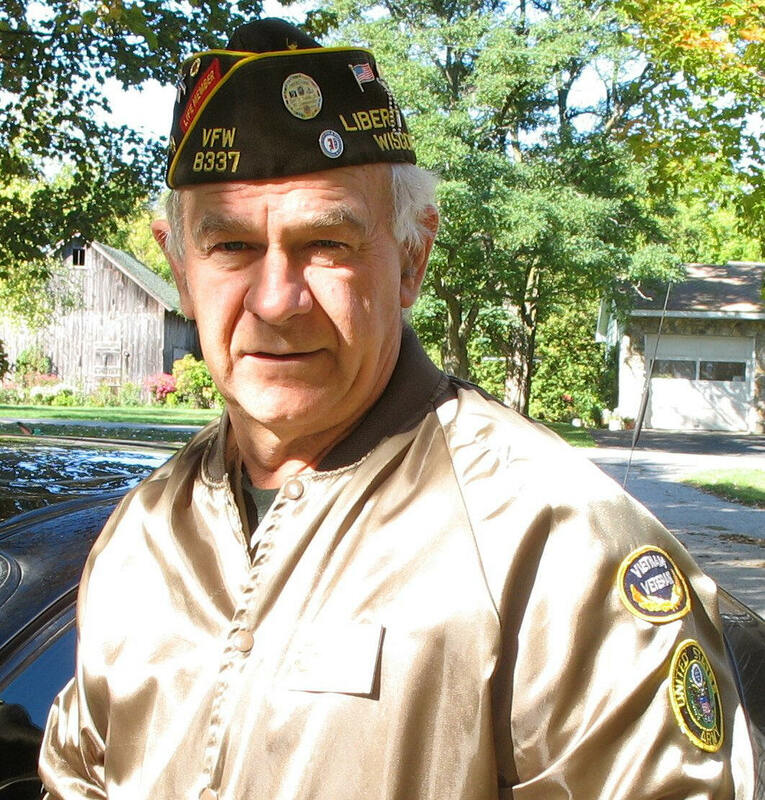 Door County veterans conducted Operation Concealed Carry during Fall Festival 2006. The focus was on safeguarding Sister Bay against a possible terrorist attack, robbery, toxic spill, anthrax scare, or bomb threat. Veterans conducted a vulnerability assessment and stood mission-ready to support housing-in-place or a mass evacuation. Veteran followed the same Incident Command and Control protocols required of law enforcement, fire fighters, and emergency government. This page contains a general outline of the "Unified" Incident Command and Control used by Vets during Fall Festival 2006. Refer to basic training tutorials for final debriefings logs. The Incident Command System (ICS) is required teaching for all law enforcement, emergency government, fire departments, and Homeland Security personnel. Door County veterans practice ICS' protocols and NIMS' (National Incident Management System) terminology so they'll be ready to roll during any natural disaster, terrorist attack, man-made catastrophe, or pandemic. Veterans do NOT replace professional first responders (fire fighters, law enforcement, emergency government or Homeland Security personnel). Rather, they provide a "fourth shift" when professional responders are overwhelmed or burned out, have exhausted their mutual aid agreements, or they're called to respond to a more serious community crisis. Tested under fire, veterans stand ready to roll when their community is under attack. 10-17-06 1200 Hours: Mission accomplished. Operation Pumpkin Patch - Bucket Brigade is over. $..... has been turned over to the Egg Harbor Business Association. Post commanders will hold an operation evaluation and debriefing session at their next post meeting. Tuesday 10-10-06: Our Operations Chief reports... demobilization changes were exicuted. 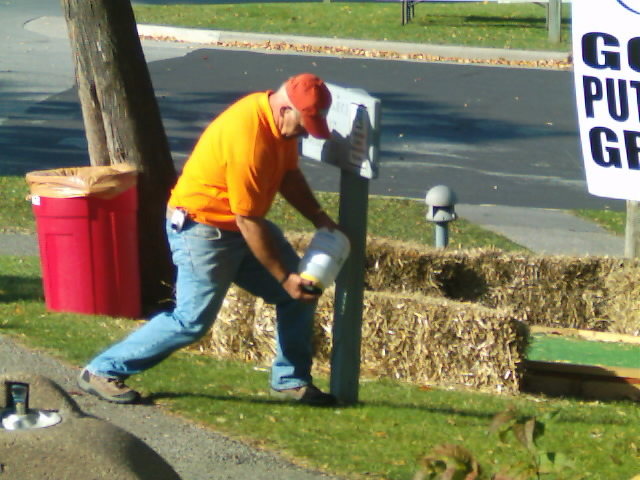 Buckets in Egg Harbor will remain deployed until after Fall Festival. The mock-up with all support supplies were officially turned over to the commander of the bucket brigade planned for Fall Festival. Our Finance Chief Reports... $1,348.36 was jointly counted and verified by the treasure of the EHBA and deposited at the Bay Lake Bank. After final collections have been verified and deposited, the EHBA will draft a check to the memorial fund. We suffered only minor damage to the mock-up and buckets. One attempted theif was reported. Total casualty losses duirng this operations was $23.16. Veterans are reminded to submit all expense reports to the Finance Chief before October 16, 2006. Our Logistics Chief Reports... The mock-up has been moved from the Egg Harbor Staging area to the Sister Bay Staging area. The command post for Operation Fall Festival will be at the AL Post 527 stand located near the Sister Bay Library. Fire Chief Chris Hetch will brief the IC on emergency rescue assets deployed for Fall Festival. FYI, the command post for Fall Festival - Operation Concealed Carry will be located at the VFW Post 8337 brat stand located next to Al Johnsons. Our Planning Chief Reports... Demobilization plans have been submitted to the IC and exicuted by Chief of Operations. This brings closure to planning for this operations. Plans for the bucket brigade in Sister Bay have been written for a one week deployment. 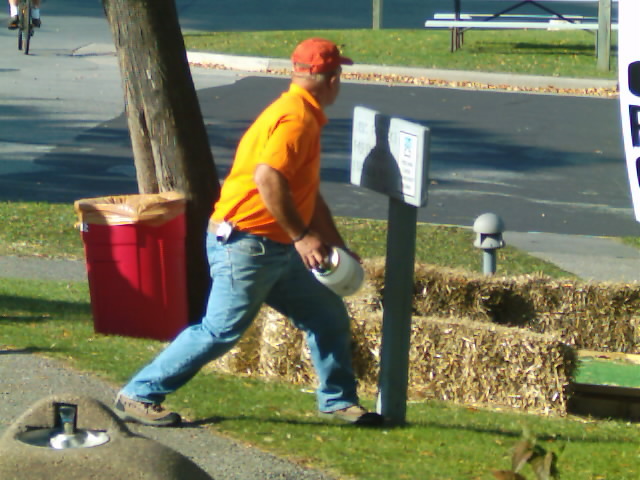 Pumpkin Patch 2006 is winding down so it's time to close up the ice cream tent and demobilize the bucket brigade. Orders went out to Command Staff to exicute a demobilization plan. Our next bucket brigade mission will be Operation Fall Festival in Sister Bay between Thursday October 12 and Sunday Octorber 15, 2006. Deployment Ordered 10-6-06 High Noon until 10-6-06 1600 hours: Operation Pumpkin Patch is up and running. All veterans who plan to be in Egg Harbor over the weekend should read the "Deployment Instruction" posted in green by our Operations Chief! Report 10-6-06 0600 Door County veterans stand mission ready and ready to roll. AL Post 527 will be stationed at our stand located next to the BP gas station. 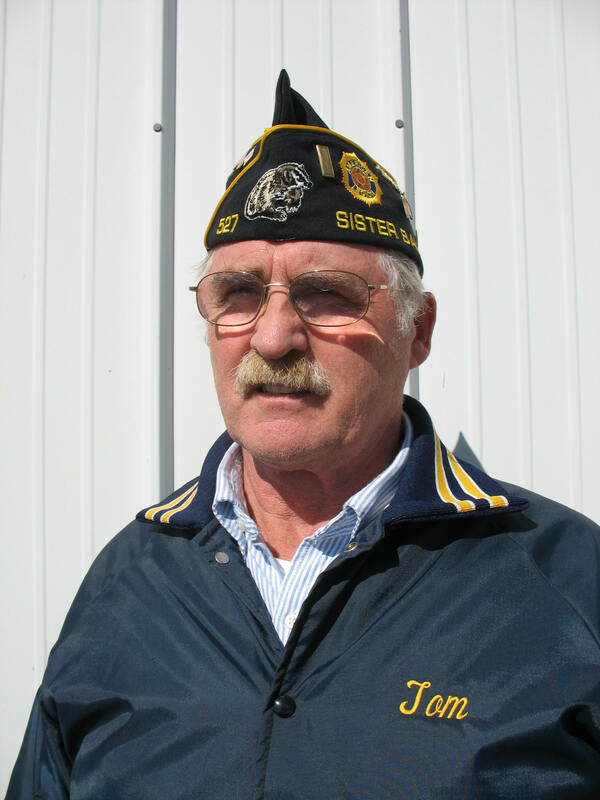 Operation Chiefs VFW Post 8337 - Woldt on Friday, AMVET Post 51 Mac Donald and Wendt on Saturday, and Woldt on Sunday have designated and equipped staging areas for both Operation Bucket Brigade and Operation Code Red. All veterans in Egg Harbor over the weekend are reminded to log in at either the AL ice cream stand or EHBA beer tent. All vets are also asked to pitch in an help serve the public at our AL stand or any of the EHBA stands in Harber View Park. Now please ready reports from the Chief of Operations and have a great weekend. Report 9-15-06... Our mission is to partner with the Egg Harbor Business Association during Pumpkin Patch, collect donations for the Veterans Memorial, and stand ready to respond should a crisis arrise during this festival. We formed a bucket brigade and deployed six companies to strategically locate buckets throughout Egg Harbor. Veterans who plan to be in Egg Harbor during the weekend are asked to "pitch-in" and help EHBA members serve beer and brats in Harbor View Park. To pitch-in you can either click here and register or sign in at our AL ice cream stand located near the BP gas station. The Egg Harbor Business Association needs our support so if you have a few hours to serve beer, corn on the cob, or brats, log in. EHBA coordinator Mark Sawyer will be cooking brats and assigning personnel. In addition to the bucket brigade, Door County veterans have established a "Veteran - Incident Command and Control Response Plan" that will be deployed if needed. Our plans included response protocols for a medical emergencies, weather alerts, missing childern and amber alerts, fires, bomb threats, toxic waste spills, or a request from authorities to assist during a mass evacuation. Considering the on-going threats from terrorists, natural disasters, and pandemics, we're asking all veterans planning to be in Egg Harbor over the weekend to log-in in case your needed. 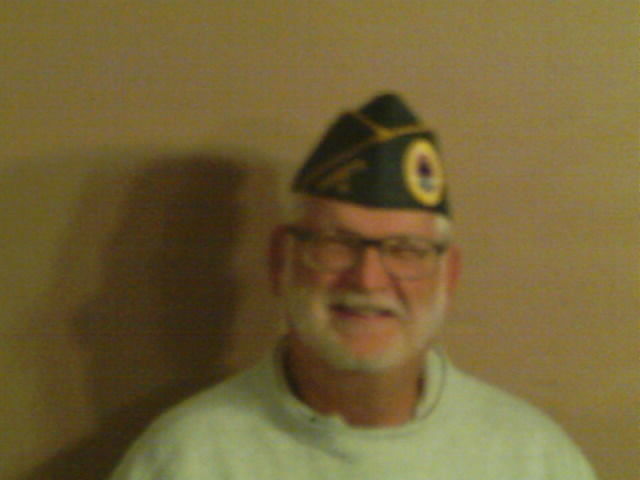 We're asking all Door County veterans to complete the surveys at... www.DoorCountyVeterans.com. You're survey information will help us prepare for and defend against the next terrorist attack, tornado, wildfire or call to evacuate. To all veterans coming to Pumpkin Patch! Please sign in at either the EHBA beer tent or at the AL Post 527 ice cream stand. Give us your name, Post #, branch of service, and if your carrying one, your cell phone number. This contact information will be needed if we activate a "unified command" during the weekend. Bobby Mueller Egg Harbor fire fighter and 1st responder (920-421-1554) and employees at both the Orchard Golf Course and Horseshoe Bay Golf Course will be monitoring weather condictions in Door County. Click on to monitor developing conditions yourself. The 640 Back up EMT group will be stationed next to the BP gas station with defibulators, oxygen, and other first aid supplies. 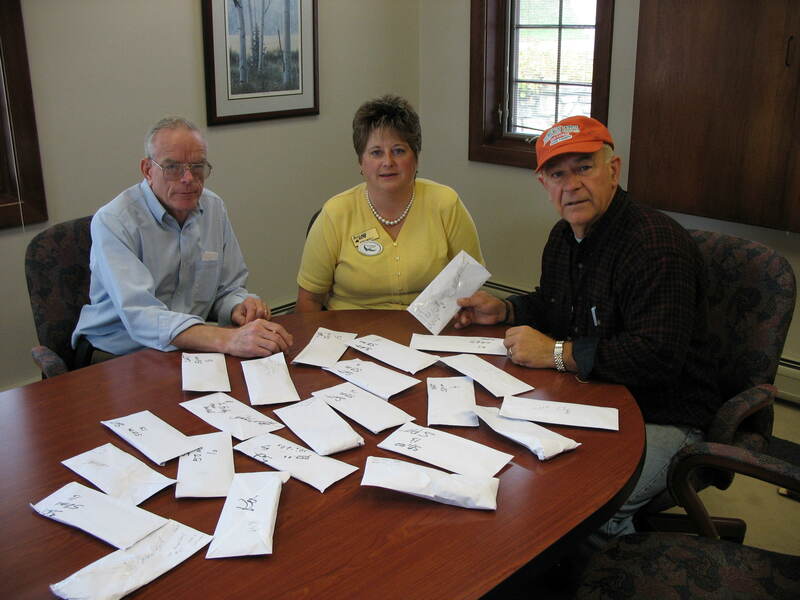 10-18-06 1258 Hours: Another $50.11 was collected and deposited to the EHBA checking account at Bay Lake Bank. This brings the total deposited so far to $1,718.72. On business said they lost their bucket, and two indicated they failed to put the buckets out during the weekend. A log of missing buckets will be sent to our Logistics Chief. 10-17-06 1800 Hours: Operations has collected all but six buckets left at business that will be closed until next weekend. Erica at the EHBA information booth will notify all members to turn their buckets over to her for a final verification and deposit. Based on the location of these buckets I doubt more than $50 remains uncollected. Operations will follow-up with the EHBA and turn all Bucket Brigade assets over to the Veterans Memorial Committee. 10-15-06 1600 Hours: All but six buckets have been picked up. A verification of bills collected indicate collections from over 40 buckets will be less than $300. Four locations refused to put the buckets out, seven placed the buckets where they could not be reached, two buckets were either lost or stolen, eight were found empty due to a variety of reasons such as: "We were too busy, we didn't understand the project, we put the buckets away at night and forgot to get them out in the morning, and we already donated to the memorial." Plan at least two months prior to the event. Provide business owners with written instructions to include where to place the bucket and how to handle currency during non-business hours. Once the bucket is in place, conduct a call-back to confirm how the bucket should be handled. Expanding the operation to include at least one business in Fish Creek was a good idea. This provided an early warning partner for Operation Concealed Carry and one of our best collection locations. Other than the main bucket on our mock-up, Lautenbachs' Winery in Fish Creek collected the most, to include the buckets deployed for Operation General Desire. Thank you Bob Lautenbach! 10-8-06 16:00: Collections from mock-up bucket, and buckets OPP #1, #2, #3, #4, #5, and #6 have been counted, verified, and turned over to the Finance Chief in sealed envelopes signed and dated by veterans verifying final collections. Veterans are reminded to review their collection control procedures and currency transportation guidelines prior to making collections of buckets deployed by companies A, B, C, D, E, and F.
10-8-06 14:00 Hours: Demobilization orders have been received from the Planning Chief: Our original demobilization plan was to pick up all buckets, cash them out under duel control and turn all collections over by receipt to the EHBA President at Orchard Golf Course. However, the Demobilization Plan now requests buckets at bars and restaurants were collections exceeded $50 be left deployed through Monday October 15, 2006. The hope is to take advantage of tourists going through Egg Harbor to Sister Bay's Fall Festival. Therefore, most Pumpkin Patch buckets will be picked up on Monday October 9 with the balance being picked up on Monday October 15, 2006. 13:40: Hours: Met with EMTs for operational update. New personnel refused to be identified. Appears they were not properly briefed by their chain of command. Also met with Sheriff patrols to request assistance in monitoring large exposure of currency at mock-up. They informed me they would be going off duty in 20 minutes at 0300 hours. I arranged for vets at ice cream stand to deploy at least one vet to guard the mock-up bucket. Alerted EMTs across the street at BP gas station to keep an eye on mock-up and report any concerns to IC at the AL ice cream stand. Veterans will monitor mock-up collections bucket from 0300 to demobilization and than assemble at staging area to stand guard while collections are counted and verified. Report of suspicious person seen at bucket at bucket OPP#4. Incident report with pictures will be filed. 0900 Hours: With the exception of bucket OPP#1 at the AL stand, Operations General Desire failed to deploy on Saturday. Buckets OPP#2, #3, #4, #5 and #6 were deployed to Harbor View Park. Gibraltar Student Loni Kita and I placed bait money in each bucket and gave initialed documentation Chief of Finance. Veterans and EHBA members were briefed on handling evidence to preserve forensic evidence and chain-of-custody. Accepted transfer of Operations from comrade Wendt and Mac Donald. Took custody of collections properly verified and sealed in envelopes. Deployed Operations General Desire, hat IDs, and cameras #1 and #2. I met with Kenny Wendt at 0700 hours and transferred Operations to him and Terry Mac Donald for Saturday 0700 hours to Sunday 0600 hours. They took control of Operation Bucket Brigade to include deployment of Operation General Desire. Deployment Instructions 10-6-10 High Noon! All vet's planning to be in Egg Harbor over Pumpkin Patch should log in either at the American Legions Ice Cream Stand - code words "I want ice cream!" or at the EHBA beer stand, code words "I want to help!" Read everything below in green and hope we don't go code RED! Veterans logged into Operation Desire should read the staging area information and deployments security protocols below. Report 10-6-06 All buckets have been deployed. Click on our Bucket Log' links below to download a record of EHBA partners deploying buckets. Buckets collections will be made on Monday and Tuesday 10/9 and 10/10/06. Sheriff Vogel, emergency government's Demeuse, and Fire Chief Mark Bogenschutz have been briefed. The memorial mock-up and thermometer have been delivered to our staging area (Christine's garage) and veterans Mac Donald, Wendt, and Woldt will handle rolling it out and back each day. (Note: there is very little clearance so move it in and out of the garage slowly. The ball & eagle have to be taken off each night or it's too tall to fit through the door. When putting the flags up, the American flag always flies highest in the center with Wisconsin flag on the right and vets flag on the left. The posts are labeled. You have to push down on the Wisconsin flag so it's lower than the American flag. Locate the memorial close to the white picket fence with the stone table next to the yellow guide wire for the telephone pole. Wrap the wire for the collection bucket around the guide wire. Place the collection cards on the table held down so they don't blow away. Place the thermometer next to the memorial. Note to EHBA members, as with buckets deployed by vets, each bucket should contain on bill for which you've recorded the denomination, bank of issue, serial number and series year. This is part of our Operation "Create Controllable Crime Scenes." Report 9-30-06... The bucket brigade deployed six companies to cover the Egg Harbor Business Community from the Landmark Road on the South to County EE north, County A East and the waters of Green Bay to the West. Buckets were color coded according to the type of business and business location. Each bucket was assigned to an on-site business contact who was briefed on our standard internal, audit, and collection control procedures. Passwords were established for subsequent contact in-person or over the phone. Members of the EHBA Board of Directors were briefed on our Door County Veteran's Incident Command and Control plans for emergencies during a festival or large public gathering. If an emergency occurs during Pumpkin Patch weekend, we will assemble outside of the information booth located next to the post office. Erica is our primary contact at 920-868-3717. If the incident escalates to a "unified command" an emergency operation center (EOC) will be set up at the Orchard Golf Course (code OGC). (Click here for directions to the OGC). Robert Mueller (Member of the Egg Harbor Fire Department) is our designated weather spotter. He will set up inside the BP gas station and will be logged into his weather monitoring web site. Egg Harbor Fire Chief Mark Bogenchutz will brief our IC on: evacuation routes, the location of first aid and medical emergency equipment within the village, and any special instructions for veterans during a village wide incident such as a missing person, tornado, toxic waste spill, or need for a mass evacuation. We should start planning at least two month before Pumpkin Patch so our partners in the business community have time to fully understand our goals and objectives. We should provide all involved with written instructions and protocols. Leave most if not all buckets deployed until Monday, October 15. Request Erica to email EHBA members and advise them of our change in plans. Include in Erica's email a report from our Chief of Finance. Sunday October 8, 2006 1400 Hours: Demobilization orders have been received! Report fronm the Finance Chief indicate the main bucket on the mock-up of the memorial has taken in more than expected. Buckets for Operation Desire failed to deploy on Saturday but when deployed Sunday took in close to $100 in their first 3 hours. A quick check of buckets in stores indicate they are not doing well yet those in bars and restaurants appear to be doing better. Officially transfer the mock-up, thermometer, six Desire buckets to the Fall Festival Incident Commander. Logistic should locate an appropriate garage for the mock up for Thursday through Sunday night. The IC should make appropriate contacts with village and festival authorities. The ideal location for the mock-up would be near either the AL post 527 stands or VFW Post 8337's stand near Al Johnsons. If the mock-up is located in the park, veterans in their post jacket and hat should be posted at the memorial. 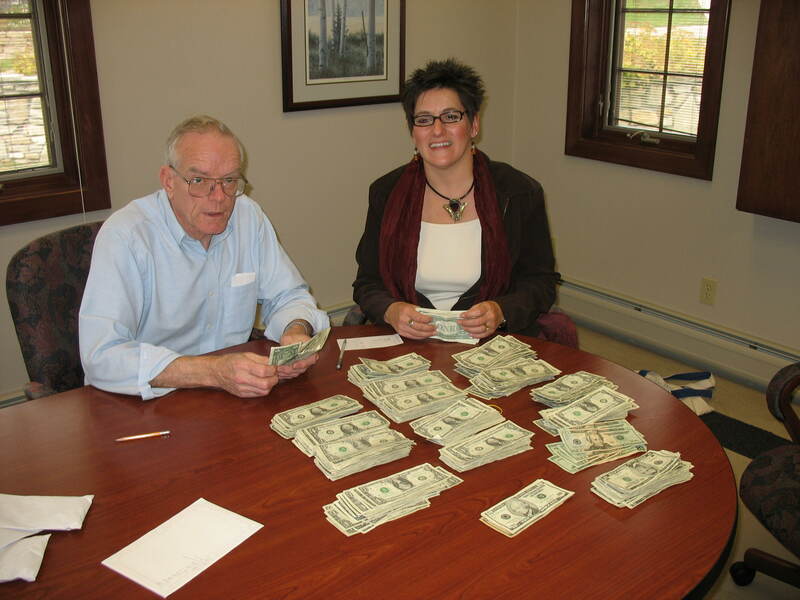 Due to the amount, the money collected should be monitored very closely. Buckets should be deployed using the same internal, audit, and collection controls used during Pumpkin Patch. 10-1-06, 2006 Report to IC: We are one week from Egg Harbor's Pumpkin Patch! We would like to think Door County is immune to terrorist attacks, natural disasters, pandemics, and scam artists. Unfortunately, we are not. This summer alone we've experienced the Ellison Bay gas explosions, and it wasn't too many years ago that the tornado touched down south of Egg Harbor. If a major incident occurs during any festival in Door County, click on the icons for incident updates and reporting instructions. Thank you for your on-going willingness to protect and serve. 10-18-06 12:58 Hours: The Operations Chief reported another $50.11 was just deposited to the EHBA checking account at the Bay Lake Bank and a copy of the deposit ticket was turned over to the EHBA treasurer. This brings the total collected during Operation Pumpkin Patch's Bucket Brigade to $1,718.72. The operations chief will send an email to EHBA members reminding them to turn any future collections over to their treasurer. 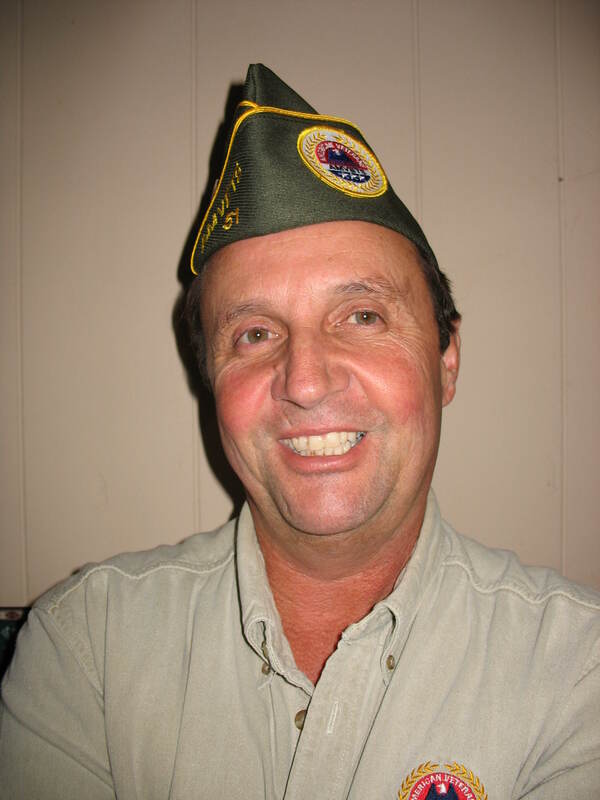 10-16-06 2000 Hours: I will debrief Veterans Memorial Committee TreasureDel Herrbold and inform him that the EHBA will be responsible for any collected funds that might be collected after this date. The total collected, verified, and deposited to date is: $1,668.36. 10-16-06 1200 Hours: Operations reports all but five buckets have been recovered, counted, verified, and deposited to the EHBA account at the Bay Lake Bank. I have a copy of deposit ticket #-------, transaction time 13:55 on 10/9/06. I also have a copy of the deposit ticket for $310.25 at 15:14 on 10-17-06 and a copy of the $10.00 deposit ticket at 15:15 on 10/17/06. 10-8-06 Received: Operations reported they met with EHBA treasurer at Bay Lake bank, opened sealed envelopes and jointly counted, verified, and deposited $1,348.36 collection from the main mock-up bucket, and the six OPP buckets deployed into Harbor View Park. I have a copy of deposit ticket #------. Buckets will remain deployed through Monday, October 15, 2006. At which time all buckets will be collected, counted, verified, and deposited to the EHBA account at the Bay Lake bank. 9-30-06 Report... The Finance Chief reports both the the IC and to Del Herrbold Treasurer of Memorial Honoring Door County Fallen Veterans Inc. The Finance Chief's focus is on bucket' internal, audit and collection controls and working with the Operations, Planning, and Logistics chiefs to develop and deploy a cost effective and efficient bucket deployment. Veterans should click here and download a copy of our standard internal, audit, and collection control procedures. The mock-up of the memorial and thermometer will be on display next to Christine's. Finance Chief will pull it out and return it to Christine's garage at night! 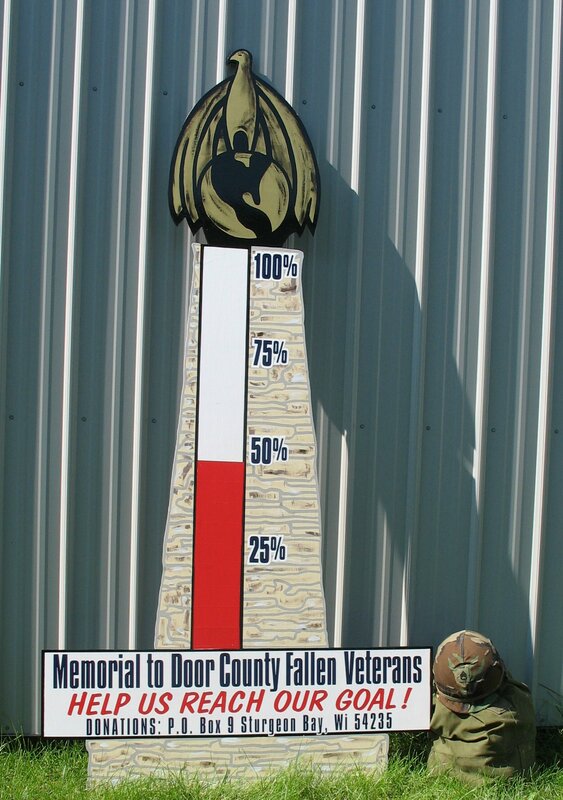 Don Sitte will pick up the thermometer Sunday and take it to Fall Festival. 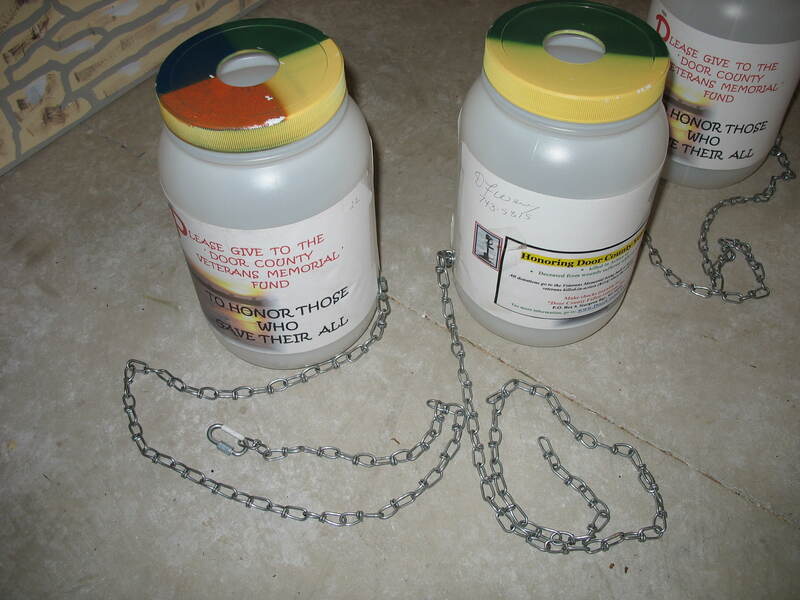 Note: We place bait money in buckets so if the thief is caught we can ID at least one bill in the bucket. Before deploying a bucket, record the denomination, bank of issue, serial number, and series year. Know also that if the thief deposits the stolen bill, that pollutes all transactions in the account so the DA can consider all funds in the account as part of the dishonest act. Operation Desire: There are six buckets with chains so they can be anchored when located in Harbor View Park. One has been anchored to the AL stand and fire will be deployed as "Operation Desire." Staging area assets: Two log in books one for the AL stand and one for Mark Sawyer at the EHBA stand. Two Pumpkin Patch hats for vets deploying Operation Desire buckets. Two disposable cameras to be carried by vets during Operation Desire. Flags to be placed next to the deployed buckets. If you witness something suspicious, click on the icons to alert others. An on-line summary of reports will be shared with EHBA members, Operation Pumpkin Patch Vets, and Law Enforcement. Please click on the icon at www.RMLearningCenter.com. to learn more about the Incident Command System. 10-18-06 1400 Hours: Operations Chief reported buckets E5, B9, and A4 were either lost or stolen over the weekend. I will contact the businesses involved and follow-up in 30 days to see if they have been found. Operations is reminded to advise EHBA members to turn future deposits into Erica at the information booth or over to their EHBA treasurer. 10-16-06 1200 Hours: Operations reported all but 6 buckets have been picked up, contents were counted and verified and turned over to the EHBA treasure. Remaining buckets dropped off at the EHBA information booth. The Operations Chief will turn all buckets over to the memorial committee. 10-9-06 1200 Hours: Operations reported collections from the main bucket at the mock-up plus those from Operation Desire have totaled $1,348.36 and have been dual verified by EHBA treasure and tellers at Bay Lake Bank. All internal, audit, and collections controls are being followed. The next wave of collections will be made on or after Monday, October 15, 2006. Property damage during operation pumpkin patch was one lost bucket, one lost chain lock, and one ruined jacket. Total claimed to date: $3.47. Note missing chain lock on bucket on right. NTBTS... Photos of attempted theft submitted by EHBA member. Taken while selling corn. 9-11 called, photos posted and Sheriff Vogel briefed by Veteran Bob Schultz at 13:00 Hours 10-9-06. Case #427, Sgt. Bies. Posted on site with alerted to EHBA members and logged Vets at 13:02 Hours. Suspect seen at Christine's 08:35 not caught on camera. Again at 16:00 hours caught on camera. NTBTS: Received report of stranger signing in at beer stand. Did not give password, last seen at 20:05 leaving town. Theft of cash suspected in that he was caught on camera placing money in his pocket. Film now missing. It appears the mock-up, the six "Operation Desire" buckets and buckets for E Company will be deployed to Fall Festival. The Co-Op Gas station on 57 south of Sister Bay has been designated as the staging area for Operation Fall Festival. The mock-up and buckets will be stored there under the care, custody, and control of AL Post 527. Report... I represent Egg Harbor on the County Board so I know where we locals and tourists can find shelter during a storm and how to get out of Door if we're ever in harms way. We located the AL ice cream stand at the center of the village on #42 to be visible to the public yet having an escape route to Church if needed. This location also allows for an ease shift to the EHBA information booth during a large scale crisis. Bucket Brigade logistics established 6 deployment routes focused on reducing the distance and time traveled and the amount of currency transported by any one veteran. 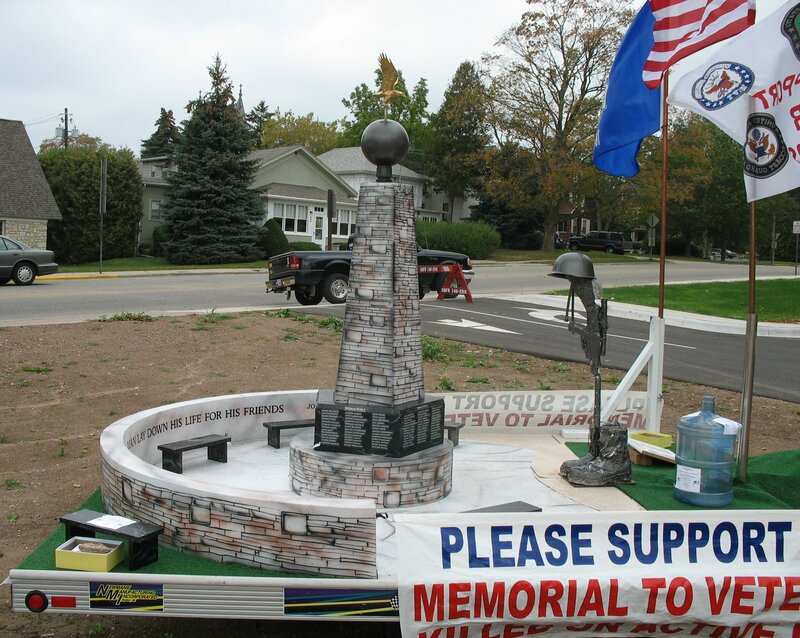 David Neuville will deliver the memorial "mock-up" he built (click on the picture below for more pictures) to Egg Harbor on Friday. It will be stored at Christine's and moved to the lawn inside here picket fence by Terry MacDonald Saturday morning. Members of AL Post 527 will keep an eye on it and move it back into the garage if it rains. This web site is published by Rich Woldt. For more information and the latest and greatest Risk Management support email Rich at: Rich@RMLearningCenter.com or call 608-712-7880.